The clinic may ask you to send your dental X-ray for an accurate and detailed offer. Crowns are recommended for individuals with large cavities or teeth that require root canal treatment. A dental implant is basically a new tooth root. The implants themselves are made out of pure titanium, as not to interfere with the natural surrounding tissue. When carefully cared for and with a good oral hygiene the dental implant can last a lifetime. The planning stage is perhaps the most important part of a dental implant procedure. The Implant Clinic Istanbul uses a highly specialized 3d imaging system to visualize the bone structure and the placement of the implant before starting the procedure. A thorough examination is needed before the surgeon may proceed to placing the implant in the jawbone. For the implant to be fully integrated in the surrounding tissue, the clinic allows an interval between 2 and 3 months before placing the abutment. Once this healing period is complete, the abutment can be inserted. The abutment is the titanium or ceramic component that ensures that the crown and the dental implant are securely fit. After the abutment and dental implant are placed, the bridge, prosthesis or crown are placed. Dental implant surgery is recommended for individuals with missing teeth or patients who need dentures. Price includes implant, abutment, and porcelain veneer crown. The clinic may ask you to send your dental X-ray for an accurate and detailed offer. Patients with a few missing teeth or no teeth at all can benefit greatly from a denture. Price is for single jaw. Price excludes precision attachment. The clinic may ask you to send your dental X-ray for an accurate and detailed offer. ● Newborns – some babies are born with a tighter, longer or even shorter frenulum which can cause difficulty when breastfeeding, since the tongue’s movement is restricted. Frenectomy surgery can be performed on young patients as well. ● Patients with speech difficulty – some patients may have difficulty speaking properly, due to the frenulum. In these cases, a specialist is required in order to determine if the frenectomy surgery can improve the patient’s speech. ● Patients requiring braces or dentures – patients requiring dentures, braces or even Invisalign may have difficulty wearing them, as result of a larger lip frenulum. Dentures can also fall out quite often, due to a longer or tighter frenulum. The surgeon will fold the gums back enough that it will form a flap and then work on the tissue below the gums. The infected tissue is then removed and any rough spots on the tooth roots will be smoothed out as to prevent another infection. Price is for a single tooth. The clinic may ask you to send your dental X-ray for an accurate and detailed offer. Patients with gum disease that could not be treated with root planning or antibiotics require gingivitis treatment. An inlay/onlay is recommended for patients with large cavities. Recommended for patients with mild to moderate crowding or protrusion of their front teeth. Price is for a single jaw. The clinic may ask you to send your dental X-ray for an accurate and detailed offer. The entire treatment usually takes 6 to 18 weeks. You will be required to have regular checks every 2 - 3 weeks. Root canal treatment or root canal therapy is recommended for patients with a damaged or infected tooth pulp. Using this type of endodontic therapy is better than simply extracting the tooth, since the patient’s natural teeth can be used as a foundation for other types of dental restoration (a dental crown or a bridge). Soft Tissue Grafting is recommended for patients that suffer from gum recession that leaves the tooth’s root exposed or for patients that are at risk of root exposure due to gum recession. All people who care about their dental health should undergo periodical deep teeth cleaning apart from other dental procedures. A teeth cleaning allows you to maintain healthy teeth for many years to go. Teeth whitening is a very effective procedure that can restore a bright smile for people that have discoloured, dull or stained teeth. The procedure is custom made and following very strict guidelines – it is the safest method for teeth whitening. Patients with dental problems such as advanced tooth decay or irreparably cracked tooth are best candidates for teeth removal and consequently – dental implants. Other rather common type of this dental surgery is wisdom teeth extraction due to their incorrect growth. A tooth filling is recommended for patients with a cavity. Laminate veneers, either ceramic or porcelain, are very thin shells of material that are bonded with dental cement to the front side of misaligned, gapped, worn out or discoloured teeth. Laminate veneers are the best option for bringing back beautiful smiles, without even drilling into the tooth structure. A veneers procedure is a good choice for individuals with discoloured, chipped, uneven, cracked and even slightly misaligned teeth. Wisdom teeth that have no place to grow, that are growing inwards or teeth that have a flap of gum over them that causes infection should be removed. 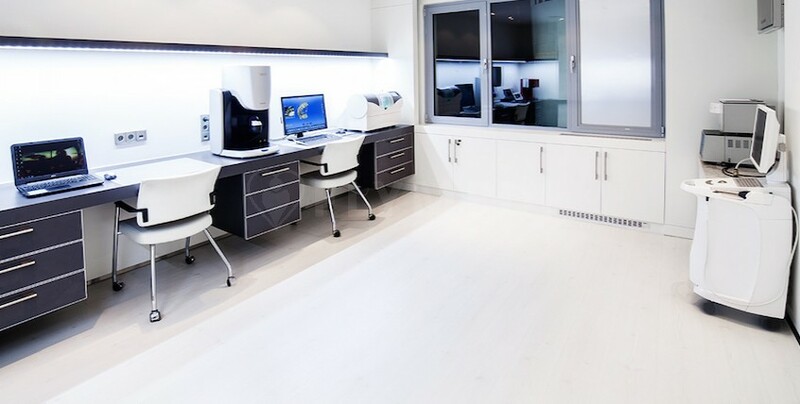 Implant Clinic Istanbul is located in the centre of Suadiye, on the Asian side of Istanbul. 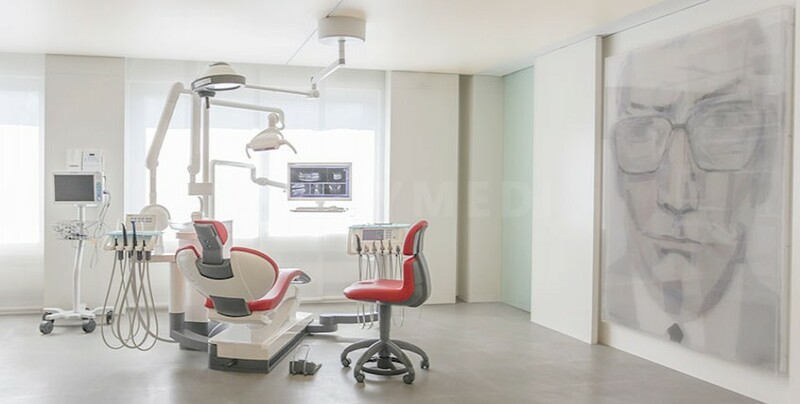 The clinic is a part of the Aydınlar Dental Group, which is made up of 10 clinics located in Bodrum, Ankara and Istanbul. Eight clinics are located in the Acıbadem Hospital and are accredited by Joint Commission International. Every year, surgeons from the Implant Clinic Istanbul perform over 3500 dental implants in a top dental facility accredited by the Turkish Dental Association. 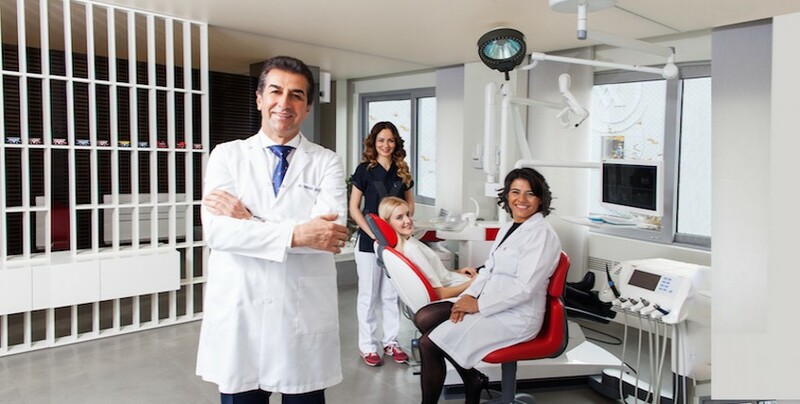 Erhan Aydınlar, the founder of the Aydınlar Dental Group has over 25 years of experience as a dentist and has a team of 60 dental assistants and technicians and 90 dental specialists. An international patient at the Implant Clinic Istanbul will receive help with flight booking, transfers between airport hotel and clinic, accommodation reservations, assistance with Visa procedure and tours and vacation services. The clinic also offers translation services in English, German, Russian, Arabic, Persian, Spanish and Ukrainian. Get a free quote or ask any other question about your medical condition.